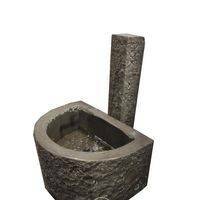 The Natural Stone Wall Fountain can do in many styles.This wall fountain material in china black basalt and the surface in natural split, the application places mostly used for garden, and some public rest place.We also can supply fountain faucet together and make new fountain style for customers. The stone wall fountain quality is decides by supplier, our workers with rich experience in carving wall fountain.There also many other stone materials can do this style wall fountain. 1)With factory own,we have office in Xiamen cities in China,our products are welcomed both in China and abroad. 2)Professional natural stone factory with competitive price and good quality. 5)Rapid response your inquiry:we will answer within 24 hours.Welcome to contact us if any questions.Looking forward to building business relationship with clients all over the world. 10 Years experience in stone produce and export. 2 advanced stone quality control, high production capacity.